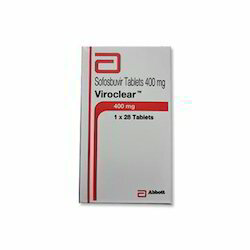 With our years of experience & in-depth knowledge in this field, we are engaged in offering a quality-assured array Viroclear. With the excellent support of our brilliant professionals, we are engaged in presenting Sofosbuvir Tablet. 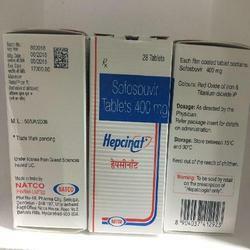 This tablet is used in the treatment of chronic hepatitis C. At our unit, the formulated drug is quality tested and clinically approved before sourcing to us. In addition with it, customers can avail the provided drug at reasonable price from us. Moreover, the tablet is processed applying healthy salts and clinically approved formula.